Brazilian Keratin Treatment has done what other hair treatments failed to do. Your hair will become comb or brush compliant and the everyday battle of making your hair obey your wished has become a thing of the past. Your hair will also manifest a certain glow and bounce. It becomes alive and very beautiful. Those who have tried Brazilian Keratin Treatment formula have nothing but all praises for it. When your hair is subjected to a chemical process and too much heat, it’s like you’re killing your hair. After the effect of the chemicals wear off, your hair is still in a state of shock. Now, if you subjected it again with the same chemical treatment right away, it’s like pouring acid into your wound. The effect would be disastrous. It’s going to take your hair a very long time to recover from the effects and it might become necessary that you cover your head with a bandana or hat to hide the ugly aftermath. How come, you can use Brazilian Keratin Treatment formula and not the chemical solutions? The Brazilian Keratin Treatment formula is like a healing balm that treats your hair from the disastrous effect of the chemical hair treatment formula. When you apply it, it will soothe the hair, penetrating the inner core and restoring the supply of the natural keratin that was dissipated by the chemicals. Yes, our hair has its own natural keratin ingredient. What happens is that the chemicals will dilute them and destroy their bonding effect as the chemicals take over. Your hair will look nice, but this is only temporary and the damage has been done already. When the effect of the chemicals wears off, your hair has no more keratin left and it starts acting wild and becomes uncontrollable. If you’re going to apply another chemical treatment right away, all I can say is goodbye to your beautiful hair or goodbye to your hair forever. 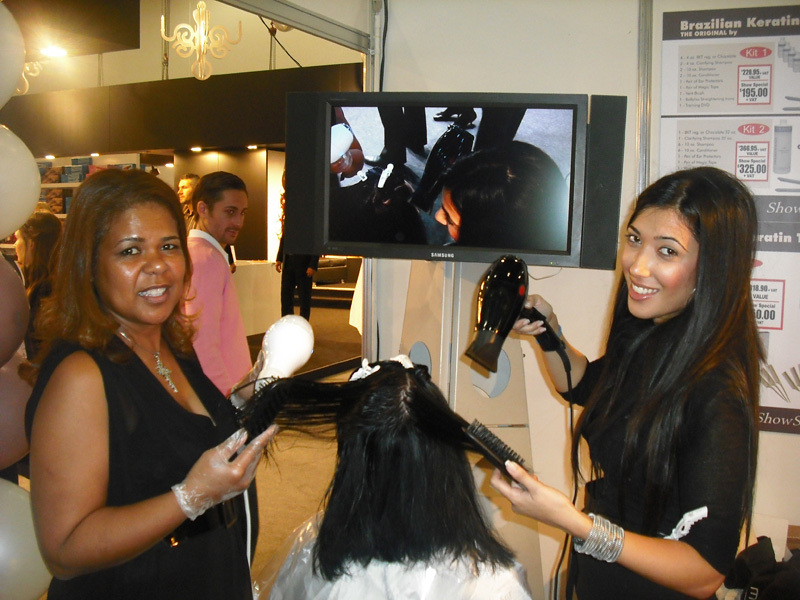 There’s no limit as to what kind of hair you can use the Brazilian Keratin, how often and when. I’m encouraging you to look for the Double M or the M&M International packaging. This is the real one. Not all Brazilian Keratin Treatment formulas are the same. Always insist on M&M brand and your hair will receive the best treatment from the best brand in the world.